Bill Lyons the Inventor of Revestor will be going into the Shark Tank to pitch his mobile app that's guaranteed to find the Best Real Estate Deals in your area. The Revestor Real Estate App helps iPhone users conveniently find all the Homes for Sale listed with the Highest Potential Returns within your Location. You simply choose your location and the price points of the Real Estate your interested in and the Reventor will show you the highest potential returns based on the current market. The Revestor is a Free App available at iTunes with a size of only 1.5 MB. Using this Real Estate App you can find all the Homes and Investment Properties for Sale in a given area, the estimated rent, mortgage payment, property details, potential positive cash flow, recent pictures and an overlay map to locate the property. The Revestor has a patent pending algorithm that generates the key data your looking for to make an informed decision. Revestor Real Estate app was developed in partnership with EvolverMobile. Evolver's development team provided full lifecycle development of the application; delivered architecture, design, development and project management expertise; created a scalable web service; and integrated the application with existing website infrastructure. "This is a smart and powerful tool that utilizes the growing mobile user-base and improves the way we buy real estate," says Michael O'Kane, CEO of Evolver. "Revestor provides the analysis and key financial indicators of a geographic real estate area instantly and literally in the hands and minds of interested investors. Better, faster information on your mobile device to facilitate better, faster decisions. A 21st century solution for the real estate market." Just a few weeks ago on Oct 23, 2012 Revestor just announced that it is now available nationwide, where as before it was only in a few select locations. Regardless of where you are located now, you can use Revestor's technology to find Valuable Real Estate Information FAST. Coincidence? Sounds like the Sharks may have already put their teeth into this one. A single R.E. App that gives you all the valuable information to make informative business decisions anywhere at anytime. This could very well be a Huge Hit in a profitable and lucrative market. The Real Estate Market obviously has a multi-billion dollar advertising budget that most of the Sharks already have a lot of contacts with. 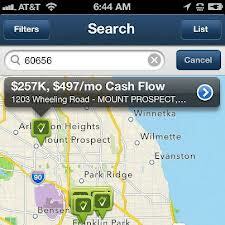 Does this Real Estate Search Engine have what it takes to get them to invest in a virtual product? It seems to do a lot of the leg work conveniently for you and finding even one good deal could be worth it's weight in Gold. Stay Tuned, The Revester will be on The Shark Tank Show this Friday 11/09/2012 during Episode #408. This guy is good and revestor will definitely pick up the pace.